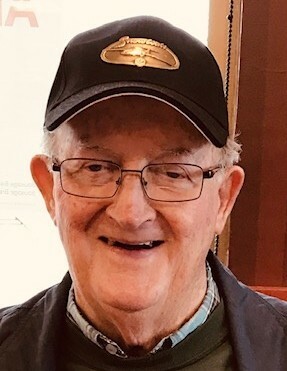 Obituary for Chesley Hillier | Hillside Funeral Services Ltd.
Hillier, Chesley – passed away peacefully at the North Bay Regional Health Centre on Monday March 18th, 2019 at the age of 81 years. Chesley is survived by his loving wife and best friend of 60 years Rosa Josephine Hillier with whom they shared a lifetime of adventures and outdoor living which they both cherished. Beloved father of Linda (Kevin), Sharon (Roger), Brian (Robyn), Janet (Duane), Glenn (Lorna) and Jeannie. He will be sadly missed by his 12 grandchildren and 7 great grandchildren. Also survived by his siblings Onslow (Shirley), Ben (Paula), Roy (Lorraine), Carl (Stella) & Marlene (Pat) as well as many nieces & nephews. He was predeceased by his parents Charles and Gladys and his sister Shirley. A dedicated family man and all around outstanding human being, Chesley was a Royal Canadian Air Force veteran having served for 36 years. An avid outdoorsman he enjoyed fishing, hunting and spending time at the lake. Family receiving friends at Hillside Funeral Services, 362 Airport Rd, on Friday March 22nd from 2 until 4 and 6 until 8 pm. A funeral service will be held on Saturday March 23rd at the St. John’s Anglican Church, 301 Main St E, at 11 am. Donations in memory of Chesley to the Canadian Cancer Society or a charity of your choice would be appreciated by his family.